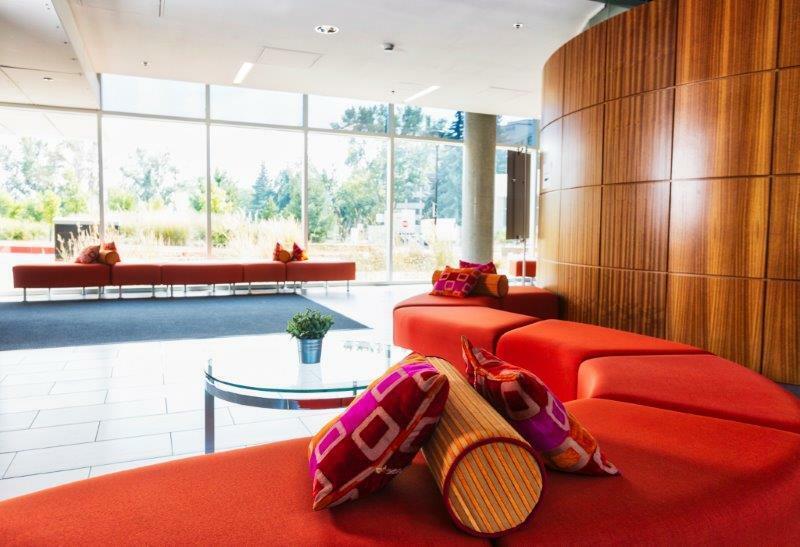 Hotel Alma welcomes guests of the 2019 Mac Deployment Conference to Hotel Alma and University of Calgary campus. Please book your accommodations by May 8th, 2019 in order to take advantage of the special rate. Should you not be able to book a preferred room type on-line, please do not hesitate to contact Hotel Alma directly at 1-877-498-3203. General Policy: A valid credit card is required at the time of reservation. Upon check in, guests are required to have their own credit card and ID for payment. If the reservation is prepaid, guest must provide that same credit card upon arrival. Pre-paid credit cards (Visa Debit, MasterCard Debit, or Amex Debit) are not accepted at check in. Please note: If you are booking on behalf of someone else, you must contact the hotel directly to arrange for third party billing. Your reservation will be cancelled if you are unable to provide a valid credit card upon your arrival. Guarantee Policy: A valid credit card is required at the time of reservation. Upon check in, guests are required to have their own credit card and ID for payment. If the reservation is prepaid, guest must provide that same credit card upon arrival. Pre-paid credit cards (Visa Debit, MasterCard Debit, or Amex Debit) are not accepted at check in. Please note: If you are booking on behalf of someone else, you must contact the hotel directly to arrange for third party billing. Your reservation will be cancelled if you are unable to provide a valid credit card upon your arrival. Hotel Alma's Eurostyle Standard Rooms feature one queen bed, 32-inch flat screen TV, Mini-fridge, Microwave, Keurig Coffee Maker and a Desk with Ergonomic Chair. 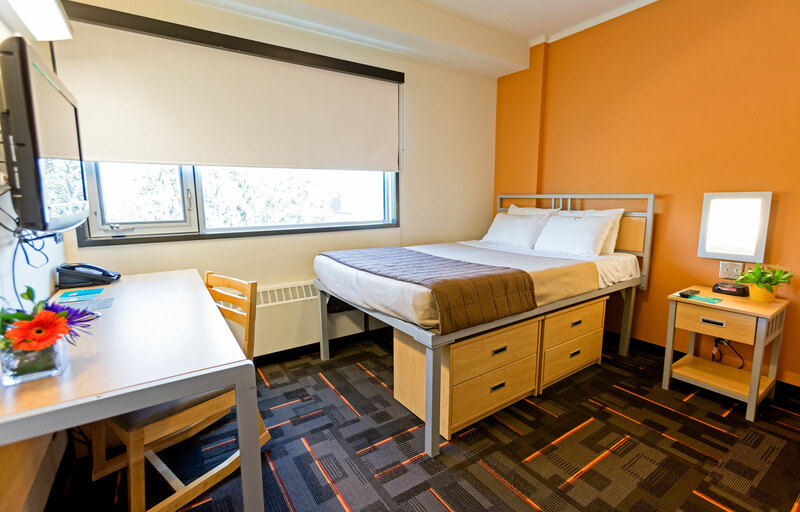 Room rates include breakfast, local and long-distance phone calls within Canada and US, Wi-Fi and access to the University's Fitness Facilities including Olympic size pool. Eurostyle Standard Rooms are comfortable for one or two people. Flats at Alma Two Bedrooms feature one double bed (student residence-style raised bed) with a dresser, bookcase, armoire, desk and a chair, 32-inch flat screen TV, telephone and clock radio in each bedroom. Each flat features a breakfast bar with sink, microwave, fridge, coffee maker and private bathroom. 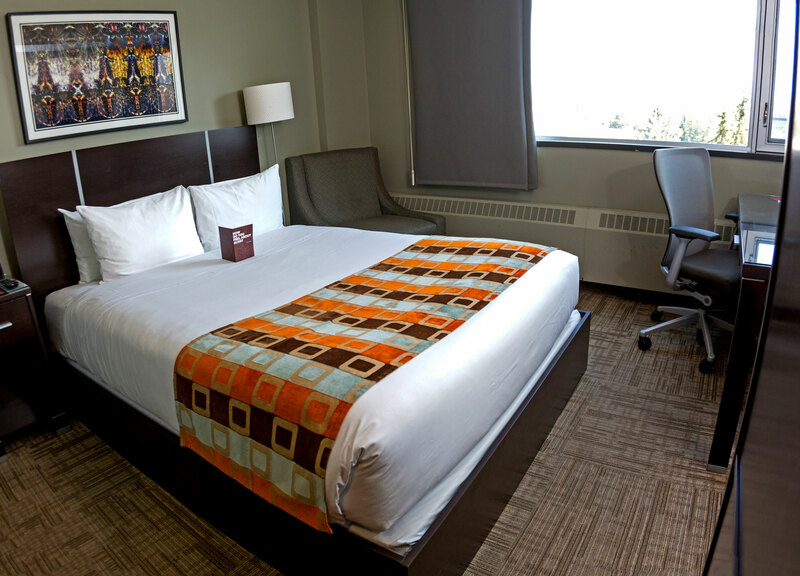 Room rates include local and long-distance phone calls within Canada & US and Wi-Fi. Two Bedroom Flats are comfortable for up to 4 people. Campus Recreation passes are available for $5/day, per person.